Home » General Interest » Who invented the comma ? Such a small thing, as symbols go, but it can make all the difference in meaning and understanding when used in a sentence. Once again, we see the importance of placing the commas in the right places. The first example is saying that a woman is nothing without her man, while the second is saying that mankind is nothing without women. Unlike much of the way languages develop, the comma was actually invented and did not evolve over time. The comma’s ancestors have been used since Ancient Greece, but the modern comma descended directly from Italian printer Aldus Manutius. (He’s also responsible for italics and the semicolon!) 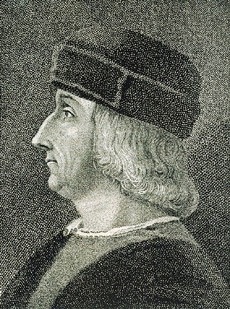 In the late 1400s when Manutius was working, a slash mark (/, also called a virgule) denoted a pause in speech. (Virgule is still the word for comma in French.) Manutius made the slash lower in relation to the line of text and curved it slightly. In the 1500s, this new mark acquired the old Greek name “comma”. The word comma literally meant “a piece cut off” from the Greek word koptein meaning “to cut off”. So how should it be used ? Other than the full-stop, the comma is the most common punctuation mark in English, but the little mark is often misunderstood and misused, even by native speakers. The comma plays an important role in the sentence because it tells a reader when to pause briefly. When should the comma be used? The comma is often used to separate items in a list as in the sentence: “Mark went to the store to buy eggs, bread, milk, and blueberries.” The third comma in that sentence is the topic of much debate. That comma—before “and”—is called the “serial comma” or the “series comma”. So there you have it the humble comma can be the difference between comprehension or confusion … so watch how you use it !